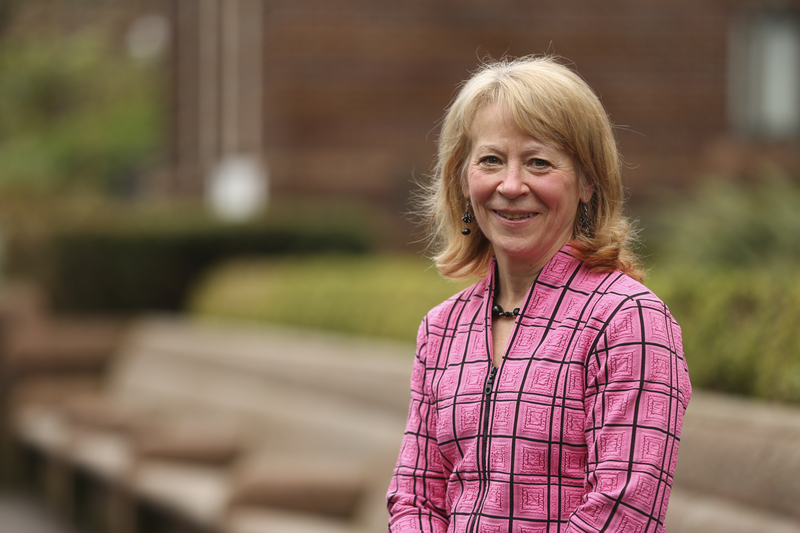 American Chemical Society awards its highest honor to Geraldine Richmond, Ph.D.
Richmond’s research examines the chemistry and physics that occur at complex surfaces that have relevance to important problems in energy production, environmental remediation and atmospheric chemistry. In particular, her landmark experimental and computational studies of the molecular structure of organic-water interfaces have answered long-standing questions about how water molecules behave near fluid hydrophobic surfaces. She is founder and current director of the Committee on the Advancement of Women Chemists. Since 1998, this grassroots organization, known as COACh, has helped promote the careers of more than 15,000 women scientists and engineers in the U.S. In addition, Richmond has taught career-building workshops to 3,000 women in more than 20 countries. “Richmond’s scientific discoveries that underlie some of the most important chemical processes on our planet, her leadership on multiple national boards that oversee scientific policy and education issues in this country and her tireless efforts to increase the diversity of our chemistry workforce make her an ideal choice for this prestigious honor,” says Northwestern University chemistry professor Richard P. Van Duyne, who nominated Richmond for the award. She is currently serving on the National Science Board and as the U.S. science envoy to the Southeast Asian Lower Mekong River countries. Richmond is also a past president and former board chair of the American Association for the Advancement of Science. In 2016, Richmond was awarded the National Medal of Science. Other awards for her scientific accomplishments include the ACS Olin-Garvan Medal, the ACS Joel H. Hildebrand Award and the American Physical Society Davisson-Germer Prize. Richmond received her B.S. in chemistry from Kansas State University in 1975 and her Ph.D. in physical chemistry from the University of California, Berkeley in 1980.